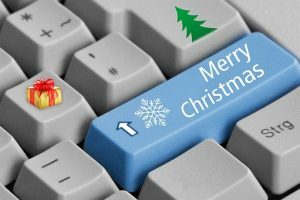 Upgrading your home computers and games consoles this Christmas? There’s nothing better than unwrapping the newest hardware on Christmas morning. Don’t forget, though, that it’s also time to ensure your old hard drives don’t give away your data. Banking – That includes logging into accounts, changing passwords, transferring money, and checking balances. Paying bills – Whether it’s utility bills, mobile phone bills, or paying for a childminder, most of us now use our computers to do this. Shopping online – From Amazon and eBay to websites for major chains such as Debenhams and Next, small, independent retailers, and supermarkets, most of us are now shopping on the net. Social media updates – We love to update our status and browse through Facebook, Twitter, LinkedIn, Instagram, and Snapchat. Booking medical appointments – Many of us have doctors and dentists who have online booking systems where your details, including the date of birth and address, must be entered. Work – Some jobs allow remote working from home, other jobs encourage staff to work flexibly at a time to suit them, and many people now run small businesses from home. So, what could be stored on your hard drive? You could have passwords to your bank accounts, social media accounts, or key work accounts stored on your drive, old statements containing credit card details, medical information, business plans, or documents containing confidential work information. There could be key information which identity thieves could use to create fake social media profiles, fake documents, take out credit cards, or open bank accounts. If work data is lost, such as the names, phone numbers, and banking details of your colleagues or employees, your employer or your business might fall foul of strict General Data Protection regulation (GDPR) rules governing the data security of third parties. In the case of serious data breaches, this could mean a fine of up to 4% of the business’s worldwide turnover, or 20 million Euros, whichever is higher. What can you do to prevent ID thieves from stealing your data this Christmas and New Year? Deleting files won’t give you the security you need. Clever data thieves know how to access the files even though they’ve been deleted. To them, it’s just like you deleting a directory while all the information remains there. You need to make sure your old hard drives are shredded securely by an experienced shredding company. That way, you’ll know your data will not be recovered. We offer confidential paper waste, removable media, and hard drive destruction services at affordable prices. Taclus Confidential holds the accreditations for ISO 9001:2015 for quality management and ISO14001:2015 for environmental management and has been certified by independent auditors IQS for both. Taclus has also been selected as the confidential waste management partner for Keep Wales Tidy. We are a small, South Wales based organisation with low overheads that enable us to keep our costs low. We pass this on to our customers whilst still delivering the highest quality of service. We pick up from their office on Merthyr Road fortnightly, check them out for all your legal needs!